If you thought the Nikon D3s was the ultimate DSLR for photojournalism, sport and low light photography, then think again. 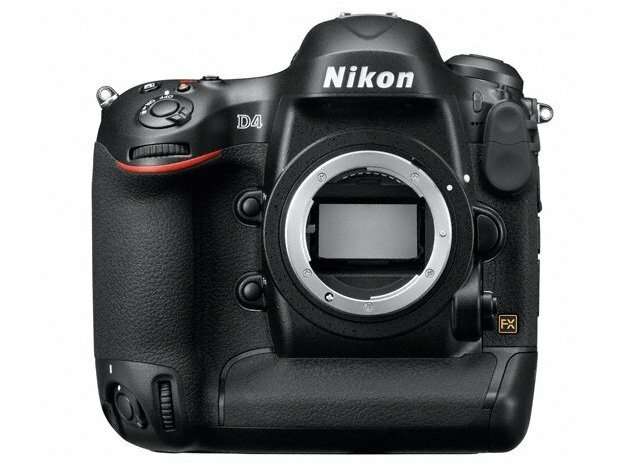 The Nikon D4 is not only the D3’s obvious upgrade and replacement but also Nikon’s attempt to redefine, yet again, professional imaging standards. When I reviewed the D3s, I thought there was little space left for major improvements but experiencing the D4 showed me just how I underestimated Nikon’s ambitions and resources. The D4 betters the D3s not only on every single spec but also in design and performance. Indeed, I took the D4 along when holidaying in Ibiza and carried it with me most of the time. I had long shooting sessions, including a fashion show and a drum party on the beach – see sample stills and video – and at the end of the day I was less tired than I remember when lugging the D3s around. 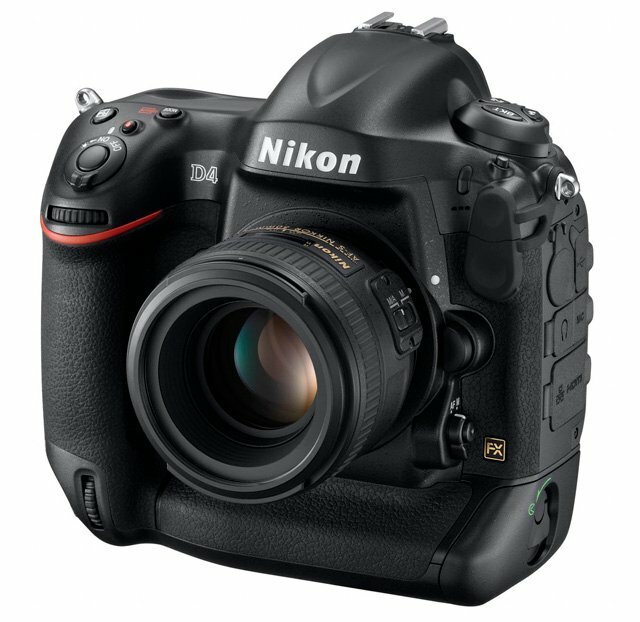 As for those specs, the Nikon D4 boasts a 16.2Mp FX format (full-frame) CMOS sensor coupled with a newly designed EXPEED 3 processing engine. This notches up a native sensitivity range between ISO 100-12,800 expandable to an equivalent of ISO 204,800 – see in the dark shooting anyone? This is matched by a 91,000-pixel RGB metering sensor. With continuous shooting speed of up to 11fps, you’re able to shoot Charlie Chaplin style at full frame. Video heads get 1080p full HD movie capabilities at 24/25/30fps and all media is stored on dual CF and XQD memory card slots. Capturing the moment is a new Kevlar/carbon fibre-composite shutter tested up to 400,000 releases – an Ethernet port as well as a WT-5 WiFi transmitter enable remote operation from an iPad, iPhone or laptop. Oh and if you were in any doubt about the purely professional status of this camera, the £5290 body-only price may well help convince you. Like its predecessor the D4 is a big and heavy beast but a few design tweaks over the D3s make the weather-sealed magnesium alloy body of the D4 feel somehow smaller, lighter and more comfortable in the hand. First of all, the position of the shutter release in both landscape and portrait mode has been further angled to create a more ergonomic position for long periods of shooting. 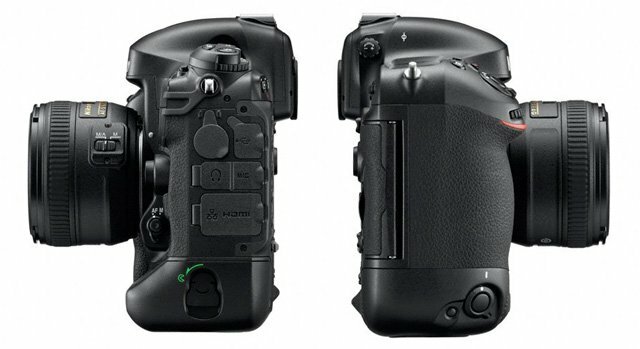 This significantly improves the overall handling of the camera with the index finger now resting in exactly the position you would like it to be, in a natural extension of the front and rear grips. The portrait grip has also seen changes that make it more functional with the addition of a raised thumb rest and the slight repositioning of the AF-ON button now easier to reach in vertical handling. Another a design novelty is the provision of two joysticks, one for each grip, to make AF selection easier and more accurate. They work really well and are much faster to operate than the controller used in the D3s, which, by the way, can still be utilised, if you prefer. Nikon snaps at Dutch, German rivals: You stole our chip etch lens tech!